Every building can benefit from having a monument sign, whether you need to announce the name of your complex or you want to display the names of tenants found inside. The Sign Center provides North Jersey with seemingly endless options to choose from when it comes to colors, materials, and designs for monument signs. What Organizations Benefit Most from Monument Signs? Sandblasted – For retail storefronts, medical offices, real estate offices, and other buildings looking for a traditional, warm look, sandblasted signs are the best alternative. They are generally made of high density urethane foam or natural redwood. Concrete, Foam, and Metal – One of the least expensive monument sign options is an aluminum marker with a concrete base and raised foam or acrylic letters and logos. To illuminate this sign at night, we can use landscape lighting. Message/Reader Boards – If you have information that changes regularly, you need to have a message board. These signs are easily programmable with just a few keystrokes. With reader boards, you actually insert physical letters into the signage. We will provide you with a full set of letters to keep you from having to make Ps out of 9s. Routed Panels – One of the most versatile solutions is routed panels. There are recessed, foam/acrylic, metal, illuminated, and PVC/acrylic panel options. We can utilize landscape lighting to illuminate your monument sign or incorporate the lighting into the design. Neon tubing and LEDs are the two main lighting options we offer. You get a colorful and bright light with our classic neon tubing. However, in the cold weather, neon lights will not shine as brightly. LEDs do not have this problem. In addition, you will save hundreds of dollars per year on electric bills, since LED lights are extraordinarily energy efficient. Also, they can last for up to ten years of nonstop use. This helps you to save on maintenance costs. And, in recent years, they have been developed to the point where they are indistinguishable from neon. 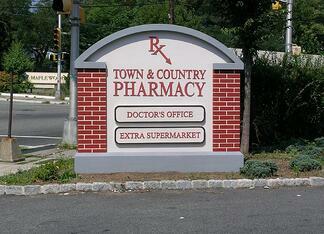 The Sign Center is happy to serve all of the North Jersey area. From our location in Berkeley Heights, NJ, we provide Plainfield, Millington, Stirling, Wachung, New Providence, and every place in between with sign maintenance, installation, manufacturing, and design. 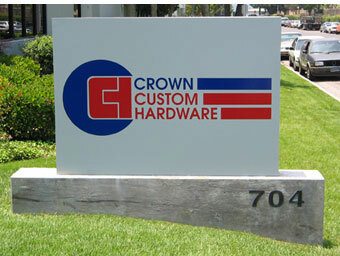 We also work with facility managers for all their exterior signage needs. Contact us today for a free consultation and quote on monument signs.